but I'm really fresh into shaders and this is too hard to me. 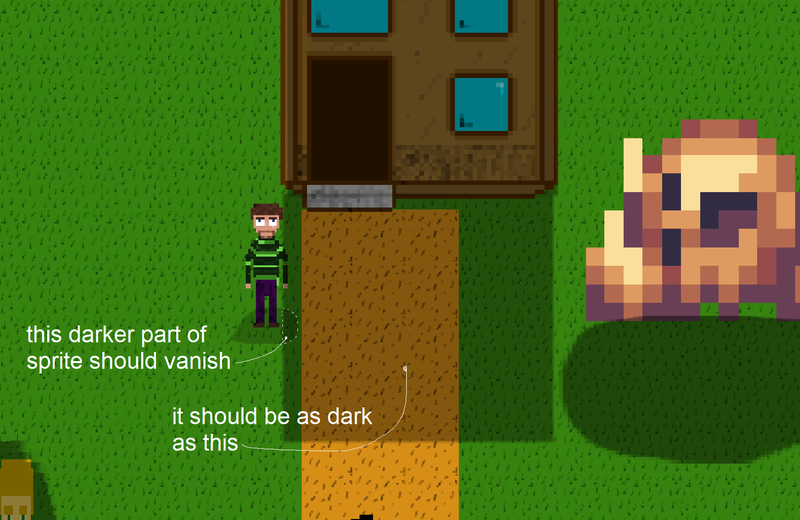 Just need a sprite to partially become invisible when entering a sprite on the same layer (there's kinda mess in sorting order because of my shading system). Could anyone help? I'd be very grateful!